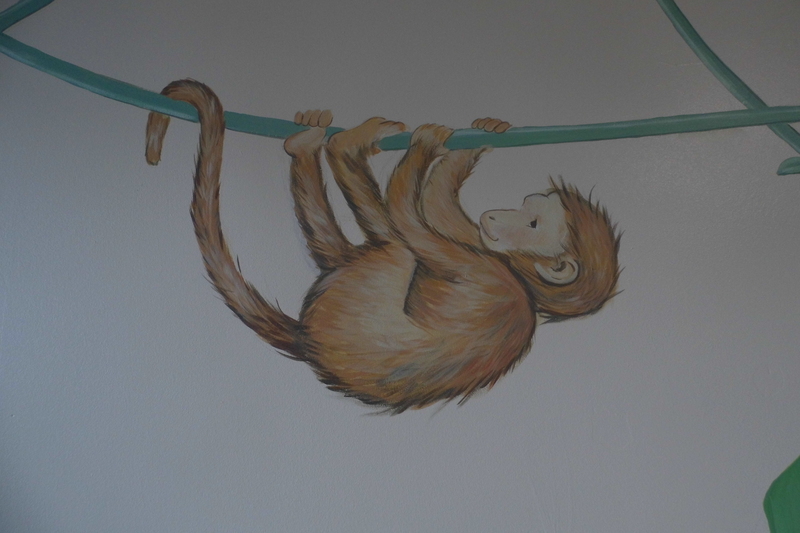 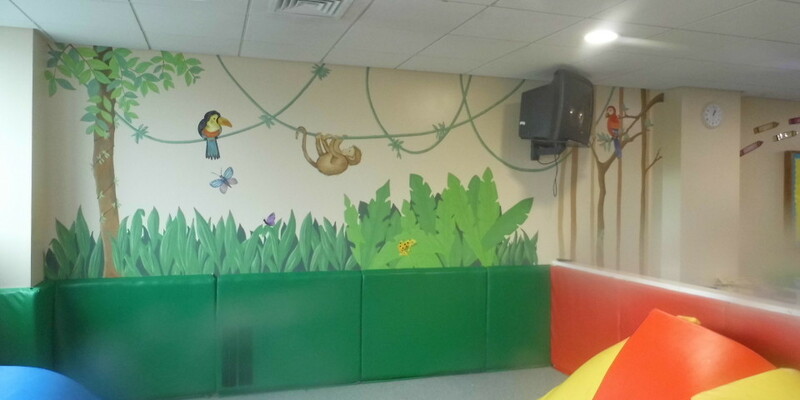 I painted this Children’s jungle mural in a children’s crèche at the Nuffield Health Fitness and Wellbeing Centre in Warwick. They wanted to update the walls of the crèche and here is a before and after picture. 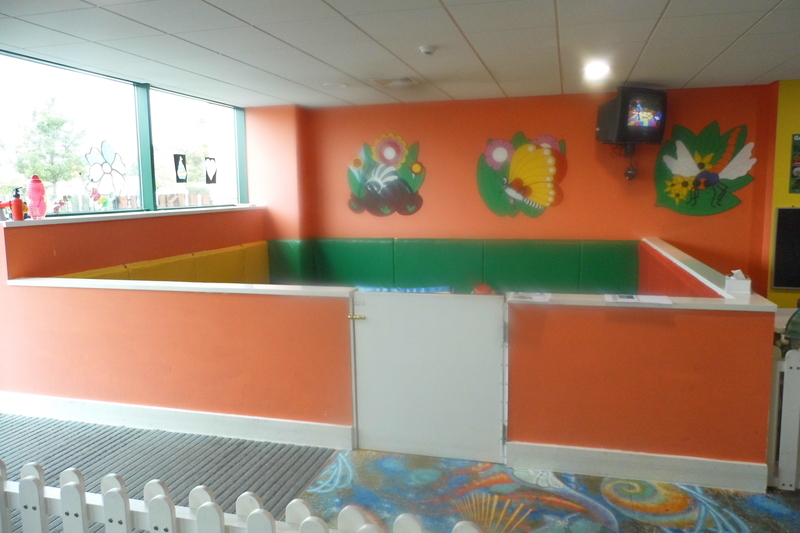 Painting over the bright orange walls and adding some bright jungle scenes made a big improvement to the overall feel of the crèche. 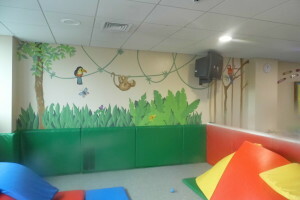 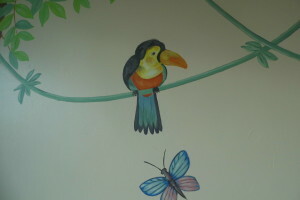 It was great adding some different jungle creatures to the walls,such as a monkey, parrot, frog, toucan and lizard. 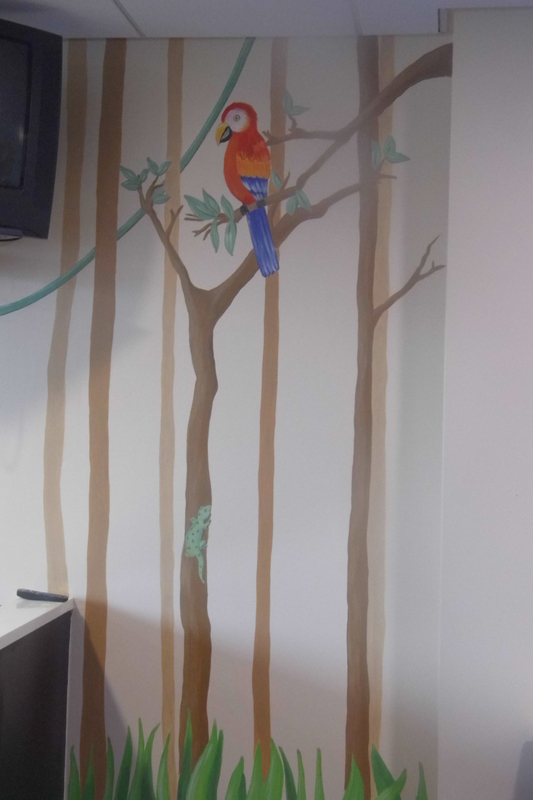 I began by taking photographs of the wall and then planning out how to fill the space, first with trees and foliage and then with various animals and birds. 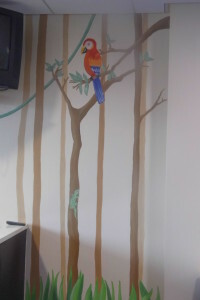 Murals can be as simple or as detailed as you would like, the background to this mural was left as the original neutral wall colour. This helped to make the images really stand out and also keeps the cost down as it is much quicker to paint this way. 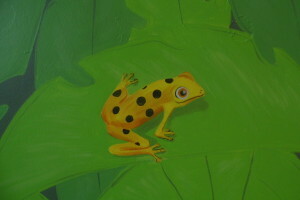 For more information on commissioning a mural go to my mural page.